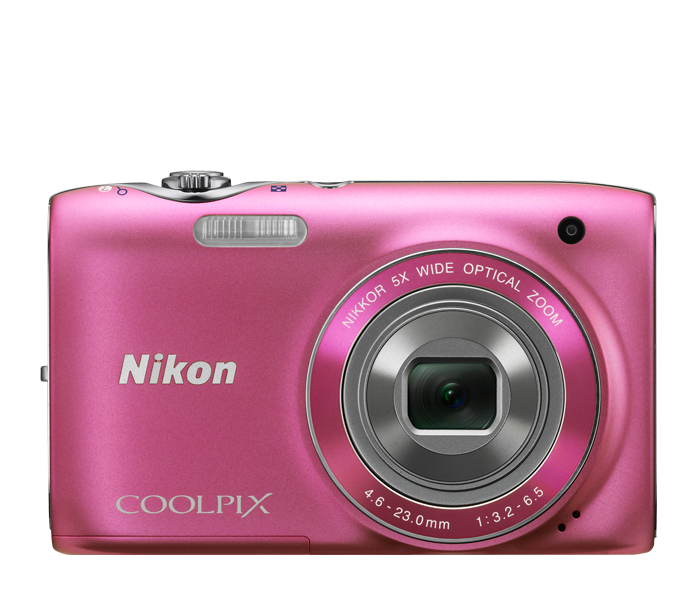 Slip this ultra-slim, ultra-light COOLPIX S3100 camera into your pocket and you’ll never miss a memorable moment. At an incredibly slender 0.8 inches and just 4.2 ounces, it goes wherever the fun is—the beach, the mall, your best friend’s house. It comes in seven attractive colours—silver, black, red, yellow, purple, blue and pink. And you’ll love its One-Touch HD Movie function, which enables you to watch the action with family and friends. Powerful yet fun and easy to use. When you want to get really creative, the COOLPIX S3100 will match the limits of your imagination with a variety of features. There are 19 Scene Modes, including Portrait, Party, Landscape, and Sunset–all of which automatically adjust camera settings to specific scenes. You just point and shoot. Plus, the COOLPIX S3100 comes with our new Pet Mode, a technology that automatically finds and focuses on the face of your dog or cat, then automatically fires the shutter. With functions like Quick Retouch you can give your photos the exact look you want. And for even more versatility, this camera comes with several filter effects like Soft Focus, Selective Colour, Miniature, Cross Screen, and Fisheye.